The engineer who concluded that noise levels would be excessive at the site in Brunswick has plans for a residential subdivision nearby. BRUNSWICK — A study that found noise levels from an Amtrak maintenance and storage building would exceed federal limits in the surrounding neighborhood was conducted by an engineer who has submitted plans to build a nine-lot residential subdivision next to the site of the proposed project. Charles Wallace of Resource Systems Engineering prepared the noise study pro bono for the Brunswick West Neighborhood Coalition, which opposes the project and wants the Federal Railroad Administration to conduct a full environmental impact statement before approving it. Wallace’s study disagreed with the findings in an environmental assessment performed by the Northern New England Passenger Rail Authority, which found that noise levels from the $12 million facility would be below legal limits. The rail authority, which operates Amtrak’s Downeaster service between Brunswick and Boston, wants to build a 655-foot-long building between Church and Stanwood streets about one-half mile from the Amtrak station to serve as a maintenance and overnight storage facility for up to three trains. Although the site has been used as a rail yard in the past, it has had limited use in recent decades and the residential neighborhood has grown around it. 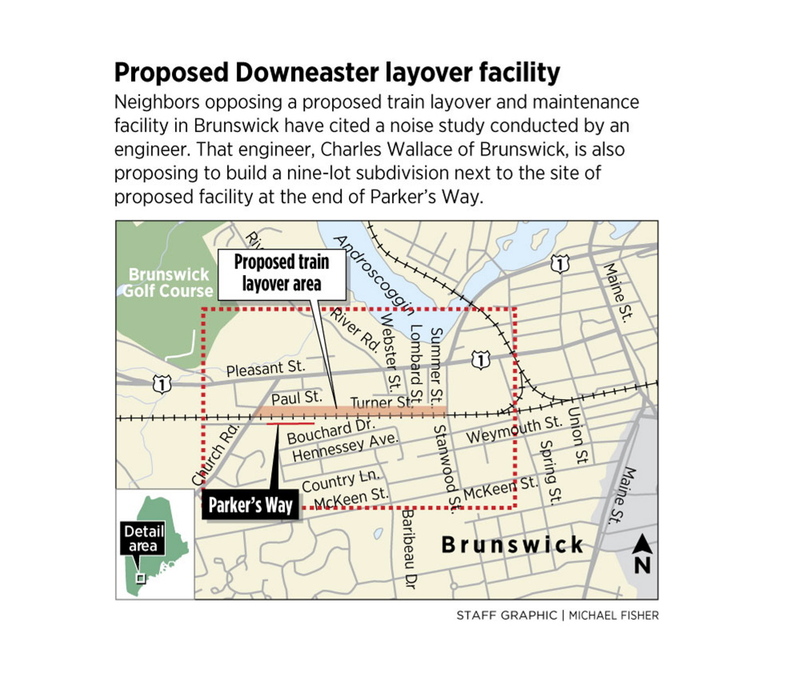 Rail authority officials say the facility would allow Downeaster trains to be kept in Brunswick overnight, eliminating the need for an empty round-trip run overnight between Brunswick and Portland. The heated facility also would allow the diesel locomotives to be kept inside rather than idling on the tracks as they do now. But would-be neighbors of the facility, led by the Brunswick West Neighborhood Coalition, contend the large operation would be ill-suited to a residential neighborhood. They have raised concerns about noise, pollution and vibrations as well as how the building would affect their property values. The Federal Railroad Administration is reviewing whether to accept the New England rail authority’s environmental assessment, which found no disproportionate effects from the project, or order a more detailed – and time-consuming – environmental impact statement. Wallace acknowledged at a Brunswick Town Council meeting that he has submitted plans for a subdivision abutting the site of the proposed facility. He filed initial sketch plans for the nine-lot residential subdivision with the Brunswick Planning Board in 2011, and they were approved in November of that year. Named Village Crossing, the proposal is a follow-up to a similar plan submitted by Wallace in 2005 for 17 condominiums in the same area, which the Planning Board also approved. Village Crossing would extend Parker’s Way – the road that runs adjacent to the train tracks – and form a new cul-de-sac, with the housing lots extending at angles outward. Wallace said his study was done in accordance with proper procedure. Wallace said that if his study is biased because of a conflict of interest, the same could be said about the studies conducted by a firm working for the rail authority that found the facility would not exceed noise levels. Wallace has been calling for another environmental impact study since last fall. The Town Council voted earlier this month against requesting one. 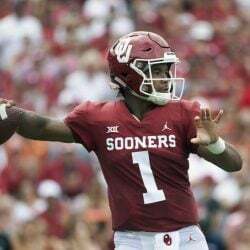 Wallace could not be reached Thursday to clarify whether he disclosed his interest as a developer in sound study documents given to the Federal Railroad Administration. Wallace spoke April 7 during a Town Council meeting about the proposed facility. He identified himself as a professional engineer and technical adviser to owners of property on Parker’s Way. Another speaker at the meeting revealed Wallace’s plans for the subdivision and called it a conflict of interest. The National Society of Professional Engineers’ code of ethics calls for disclosure in such instances. “Engineers shall disclose all known or potential conflicts of interest that could influence or appear to influence their judgment or the quality of their services,” the group’s guidelines say. Patricia Quinn, executive director of the rail authority, said she has heard of plans for a subdivision in the area, but does not know enough to comment on them. According to Quinn, the Federal Railroad Administration is still reviewing the information provided by the rail authority, as well as by the Brunswick West Neighborhood Coalition and other opponents. She said she could not say when the rail administration would finish its review. “There’s a lot of information there, and it takes time, because they’re trying to be thorough,” Quinn said. She said the New England rail authority followed all guidelines and processes associated with the construction of the facility, and did a lot to engage and listen to community demands. Portland Press Herald Staff Writer John Richardson contributed to this report.